Is visiting an orthodontist in Liverpool the only way to get braces? 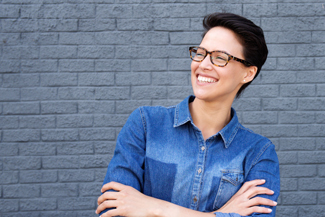 The promise of straighter teeth without the use of metal brackets and wires has stirred the interest of many adults who want to restore their smile without sacrificing their looks. Modern cosmetic braces are more discreet and versatile than ever and more importantly they don’t require the help of an orthodontist in Liverpool to be installed and maintained. What are cosmetic braces and when should they be used? Very few people are lucky enough to be born with perfectly straight teeth. Unless you have had braces as a child, chances are that your teeth are not perfectly straight. Even people who underwent teeth straightening as children, are prone to misalignment for many reasons, some of which are purely genetic. Cosmetic braces are different from metal braces not only in terms of the materials they are used for their manufacture, but also in terms of how they straighten crooked teeth. Whereas regular braces can straighten a wide range of misalignment problems (from rotated to twisted and heavily crooked teeth), cosmetic braces are best indicated for front teeth or simple dental irregularities such as mild spacing and overcrowding as well as simple to moderate bite problems (i.e. overbites, underbites, crossbites). Cosmetic braces are not offered by an orthodontist in Liverpool, because they are designed to be fitted by cosmetic dentists at Liverpool Smile Studio. Our experienced and highly skilled cosmetic dentists will examine your teeth carefully and suggest either Invisalign, Six Month Smiles, Fastbraces or The Inman Aligner for your dental problems. Thanks to cosmetic braces, straight and beautiful teeth in Liverpool are not a remote dream, but a tangible reality. How do I decide which braces I need? 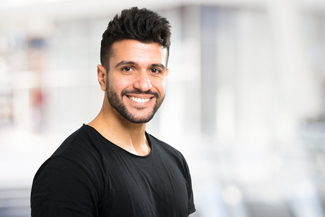 If you want to straighten your misaligned teeth and improve your bite without sacrificing your smile, then you should consider cosmetic braces in Liverpool. Your first step is to book a consultation appointment with our cosmetic dental team. Not only will they examine your teeth, but they will also listen to your concerns and decide what’s best for your smile based on your individual needs and lifestyle. If you are considering cosmetic braces and you don’t know where to begin, call our dentists at Liverpool Smile Studio today. This entry was posted in Orthodontics on 19th April, 2019 by Liverpool Smile Studio. Sometimes we all need a boost to help us feel more confident, especially when our teeth have flaws. Luckily, dental veneers can help. These thin, sculpted porcelain or composite covers are very versatile and can transform your smile instantly. At Liverpool Smile Studio, we offer customised dental veneers in Liverpool to patients who wish to have a smile makeover without undergoing many dental procedures. Veneers are very popular with our patients because they require basic preparation and can be fitted in just a few appointments. What is the use of veneers in cosmetic dentistry? Veneers in Liverpool have many uses, and they can change the shape, length, size and alignment of the teeth in one go. If you have misshapen, gapped, slightly misaligned or permanently stained teeth, then you should consider veneers. Unlike dental crowns, veneers are seamless and don’t show discolouration between the restoration and your gum line. Moreover, veneers can be colour-matched to the colour of your natural teeth. Veneers are either made of composite materials or porcelain. After removing a thin layer of your tooth enamel, the dentist will make an impression of the teeth that will be covered by veneers. These impressions will be used as guides for the design and creation of your veneers in Liverpool. This process can take from a few days to several weeks depending on the type of veneers you are after and the overall number of teeth covered by them. In some cases, composite veneers can be sculpted in the dentist’s chair after your dentist has reshaped, cleaned and prepared your teeth. During your next visit to the dentist, your veneers will be applied to the surfaces of your teeth with the help of special glue. This procedure is not painful and will leave you with a beautiful and complete smile. Once your veneers are bonded to your teeth, make sure that you take good care for them so they can last for years. Your dentist is your ally in helping you keep your mouth healthy and clean while having veneers, therefore don’t forget to visit for regular check-ups and cleanings. This entry was posted in Veneer on 17th April, 2019 by Liverpool Smile Studio. Do you work close to your dentist in Liverpool? Is it easy to get to appointments or do you have to take time off work to get to a check-up? Maybe you have to use up precious annual leave to keep your teeth in order. That’s a waste. Maybe it’s time to move to a dentist nearer to work so that you can have appointments in your lunch hour or before or after work, rather than having to take up entire half days to get your teeth seen to. Liverpool Smile Studio is located on Rodney Street in the city centre. We are open from 8.30am to 5.30pm every week day, so we can see you before or after work and also in your lunch hour. We are also on Saturdays upon request. Liverpool Smile Studio offers the full range of dental treatments that adults require. The needs of adults change as they move from their late teens and 20s through to middle age and beyond to their senior years. When you are a young adult, you are mostly interested in having a great looking smile. Chances are there is something about your smile that you would like to improve and we offer a great range of cosmetic treatments to enhance your smile. If you aren’t happy with the colour, we can whiten your teeth. If you want some surface damage rectified, we can use veneers or cosmetic bonding to cover over imperfections. If your teeth aren’t quite in the right place, we have a wide range of cosmetic braces that can discreetly realign your teeth. As you get older, your focus tends to move to ways to preserve teeth that are starting to have seen better days. Crowns can strengthen teeth that still have good roots. Or we can replace lost teeth with dentures, fixed bridgework or dental implants. Whatever your age, you may feel scared about visiting the dentist. With Liverpool Smile Studio, you can ask for sedation during your treatment if you’re feeling nervous. Why not pop in one lunch hour and take a look around and see if moving to a central Liverpool dentist makes sense for you? This entry was posted in Dentist on 12th April, 2019 by Liverpool Smile Studio. Do I need to see an orthodontist in Liverpool for cosmetic braces? Contrary to popular belief, you do not necessarily need to visit an orthodontist in order to fix your tooth misalignment – a cosmetic dentist can help as well. At Liverpool Smile Studio, we do not have a Liverpool orthodontist in our dental practice, but we offer a wide range of discreet, cosmetic braces, which are fitted by our talented and experienced cosmetic dentists. Whether you want to straighten your teeth with Invisalign, Six Month Smiles or Fastbraces, you have come to the right place. 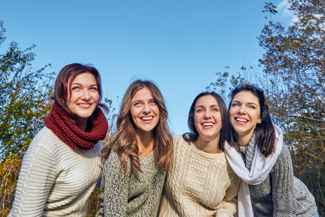 Alongside a symmetrical and beautiful smile, cosmetic braces and teeth-straightening treatments like Invisalign can actually improve your oral health. Straighter teeth are easier to clean and there’s less opportunity for plaque to hide in-between the cracks and nooks of your teeth. Moreover, a straighter bite can eliminate problems such as constant headaches and jaw pain. Cosmetic braces do not require the involvement of an orthodontist because they are not designed like regular braces. However, cosmetic dentists should be trained in teeth-straightening techniques such as Invisalign because they require a certain degree of expertise. Whereas Six Month Smiles is a standardised one-size-fits-all treatment that focuses on the front teeth and helps them move into place in 6 months (or less), Invisalign aligners require a certain degree of customisation so that they can fit snugly over your teeth and gums. Moreover, Invisalign aligners are used for different types of misalignment and it doesn’t mean that because a friend of yours wore them for 6 months, the same will apply for your case. Your cosmetic dentist in Liverpool will examine your teeth carefully, determine your exact type of misalignment and advise you whether Invisalign is the right treatment for you. Are you interested in straightening your teeth as an adult, but you are reluctant to wear metal brackets and wires? Don’t give up – at Liverpool Smile Studio you can find a wide range of discreet cosmetic procedures that will encourage you to smile while undergoing treatment. To learn more, call us today. This entry was posted in Orthodontics on 29th March, 2019 by Liverpool Smile Studio. How are dental veneers in Liverpool placed? Dental veneers have been used in cosmetic dentistry for many years and they are one of the simplest and most affordable ways to transform your smile. These fine, customised porcelain shells are attached to the front of the teeth and cover minor imperfections such as cracks and chips. They can also be used to change the colour of the teeth or improve the shape of the dentition. At Liverpool Smile Studio, we offer high-quality dental veneers in Liverpool to patients who wish to change minor flaws in their smile. Dental veneers are not complicated to install and will need up to 3 dental appointments to be completed. Moreover, they do not require much preparation. Dental veneers are a great aesthetic treatment, but unfortunately, they are not for everyone. Firstly, your dentist will examine your teeth carefully and determine whether you are a good candidate for this procedure. Patients with serious alignment issues or many missing or broken teeth are not eligible for dental veneers in Liverpool. Instead, they will have to undergo a more extensive smile makeover that includes dental implants and other cosmetic or restorative treatments. If your dentist says you can have veneers in Liverpool, then they will book an appointment so that they can prepare your teeth and take impressions for the creation of your veneers. During this appointment, your dentist will remove a very thin layer from your teeth so that your veneers can adhere securely to the enamel. Once this procedure is completed, we will take impressions of your teeth and send them to the laboratory. At this stage, we will provide temporary veneers so that the surfaces of your teeth are protected while waiting for your final veneers. Once your veneers are ready, we will glue them to your teeth and cure the glue with a special laser. This will help keep them in place and keep them strong and sturdy. Your dentist will carefully assess the size and shape of your new veneers to ensure that they are a great fit and will also colour-match them to the rest of your teeth. This entry was posted in Veneer on 27th March, 2019 by Liverpool Smile Studio. When did you last come for a check-up with the dentist in Liverpool? Last week? Last month? Last year? Last decade? Heaven forbid, you answer last century! But seriously, if it’s more than 6 months since you took your teeth along for a check-up with the dentist in Liverpool, then do book yourself in with Liverpool Smile Studio for one as soon as you can. It may seem like a waste of time but having a regular check-up with the dentist in Liverpool is a vital part of your oral health care routine. The best way to treat dental problems is to catch them as early as possible. Treating decay in its early stages preserves more of the tooth, is less painful and costs less. Treating gum disease in its early stages is also pretty easy, but leave it until it is advanced and it becomes very hard to get rid of and can involve several appointments and pretty invasive treatments. Both decay and gum disease are caused by acids. These are given off by plaque, which is the sticky layer of bacteria that appears almost by magic on the surfaces of your teeth between toothbrushing sessions. The bacteria feed on sugars in your saliva, so if you have a lot of sugary foods and drinks, you will also get more plaque. A regular twice-yearly check-up with the dentist in Liverpool is a way to avoid painful and invasive treatments to deal with the problems created by plaque. When you come for a check-up with the dentist in Liverpool, we are also on the lookout for signs of oral cancer. Mouth cancers are becoming more common and tend to appear in older people. They are directly related to drinking alcohol, smoking and a diet poor in fruit and vegetables. Mouth cancers tend to move fast, so it’s vitally important to spot them when they are just beginning. We hope this has convinced you to get yourself booked in for a check-up. Give us a call and get yourself booked in now. We are looking forward to seeing you. This entry was posted in Dentist on 22nd March, 2019 by Liverpool Smile Studio. How long have you been living with your wonky teeth? Do they hurt? Do they cause pain anywhere else in your body? Do they stop you swallowing? Or is their wonkiness more a matter of making you feel terribly self-conscious to the point that you don’t really want to smile at anyone? If the problems your misaligned teeth are causing you are more about how they look and how that makes you feel and behave, rather than actual physical problems with swallowing and pain, chances are you can get your teeth straightened without having to shell out for treatment with an orthodontist in Liverpool. Instead, you could get great cosmetic braces from our cosmetic orthodontist in Liverpool, Dr Janine McGinty here at Liverpool Smile Studio. As with many conditions, tooth misalignments cover a spectrum of problems that range from severe alignment issues to mild issues. The more severe end of the spectrum often involves issues with the alignment of the jaws, and even their shape, and this end of the spectrum definitely needs to be dealt with by an orthodontist in Liverpool who has completed postgraduate training in this area of dentistry. But moderate and mild alignment issues, where it’s just the odd few teeth that are not properly aligned and just need a bit of moving, can be treated by a general dentist who has trained in the various cosmetic braces now on offer in the modern dental world. Here at Liverpool Smile Studio, Dr McGinty is trained in doing consultations, fittings and adjustments for several different kinds of cosmetic devices, including Six Month Smiles, Fastbraces and the Inman Aligner. Each of these does great work on mild to moderate alignment issues. Invisalign is very popular. These are clear plastic aligners that go on over the teeth like a mouth guard, but are so much thinner that they can barely be seen by other people. Pressure points inside the aligners guide the teeth into position over a number of months. Invisalign is removable so meals are easy and so is toothbrushing. To find out if one of these treatments would help, arrange a consultation. This entry was posted in Orthodontics on 15th March, 2019 by Liverpool Smile Studio. Everyone needs to be active and so playing sports is a must for most people these days. Trouble is, some sports can result in injury, especially those that involve contact with other players or objects travelling at speed. How many school students have emerged from their last exams with great big smiles showing a cracked or chipped tooth thanks to being really great at sports? It’s great to have these badges of honour on the playing field or in the gym, but out in the world of work and dating, dodgy teeth have become increasingly unacceptable. That means finding a way to repair damaged teeth and one of the most popular for dealing with none too serious damage is veneers in Liverpool. Here at Liverpool Smile Studio, we see how easy and quick it is to transform teeth that have taken a knock or two back into things of beauty with veneers in Liverpool. All it takes is one or two appointments with the cosmetic dentist and no one would ever know that those teeth were ever anything but perfect. You can be a whizz on the sports field but still have a great smile. When you come to us for veneers in Liverpool, we will start by taking a good look at your damaged teeth to make sure that veneers are the right solution for your particular damage. If the damage goes right to the back of the tooth, it may be that a crown is more suitable. If veneers are the right solution, we will take impressions of your teeth from which the veneers will be made. Then we will remove a very thin layer of enamel from your damaged tooth. This is so that we have a good surface for the dental adhesive to bond to, and also so that the veneer lies flush with the rest of your teeth. Once the veneers have been made by an outside technical laboratory, you come back for fitting. And that is it. Veneers last for about 10 years if you take good care of them. This entry was posted in Veneer on 13th March, 2019 by Liverpool Smile Studio.